A river cruise is a wonderful way of experiencing Myanmar’s traditional rural lifestyles and stunning scenery. Enjoy smooth sailing and ever-changing landscapes from the comfort of your ship as well as easy access to the history, character and cultures of small towns or villages along the way. 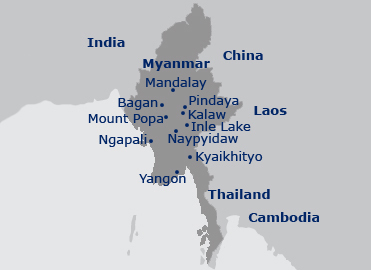 The mighty Ayeyarwady River is the longest in Myanmar and flows north to south from its source high in the Himalayas through the centre of the country to the Andaman Sea. A key journey is from Bagan to Mandalay, or vice versa, which will often include time to explore the sights in both cities as well as scenery along the way that includes jungle-clad riverbanks, endless rice paddies and glimpses of rural life. A seven night cruise aboard the RV Kalaw Pandaw is a fabulous way to discover this wonderful waterway and begins with the incredible temples of Bagan then concludes in the historic former royal capital of Mandalay with guided exploration of small towns and villages in between. 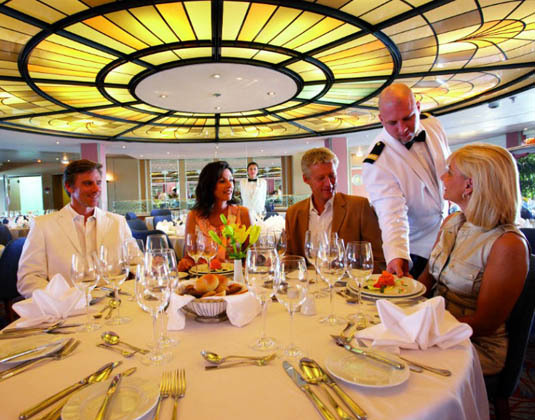 For something more opulent, Sanctuary Ananda is a luxury all-suite boutique ship offering cruise durations between three and eleven nights. Alternatively the equally magnificent Belmond Road to Mandalay offers a choice of three and seven night cruises. A main tributary of the Ayeyarwady is the less explored but equally scenic Chindwin River, which flows through remote areas with few roads or cars. An eight night cruise aboard the Belmond Orcaella follows the Chindwin River through rugged and dramatic scenery, stopping at rural villages and remote monasteries, allowing passengers to discover a Myanmar few have experienced. A shorter seven night and two longer twelve night cruises are also available.